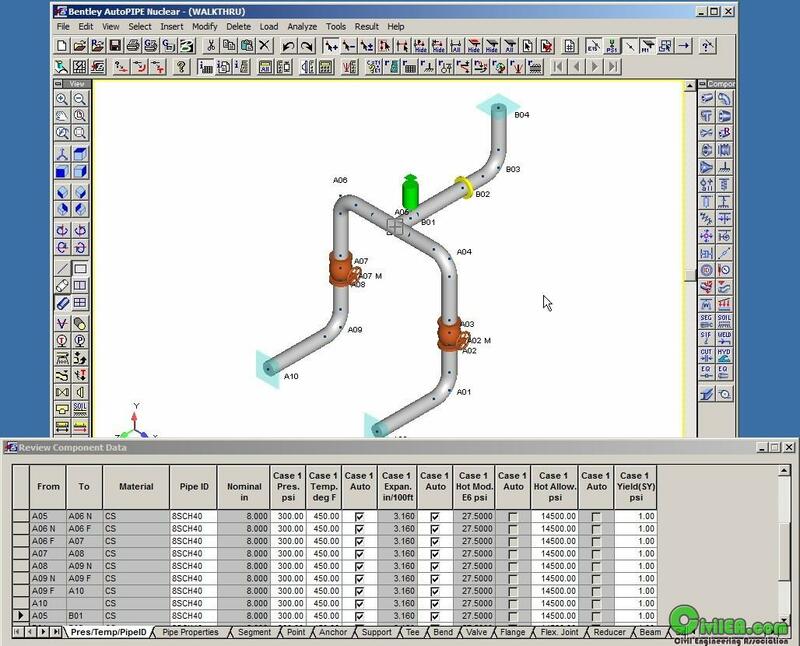 Bentley AutoPIPE is a stand-alone computer aided engineering (CAE) program for calculation of piping stresses, flange analysis, pipe support design, and equipment nozzle loading analysis under static and dynamic loading conditions. In addition to 24 piping codes, AutoPIPE incorporates ASME, British Standard, API, NEMA, ANSI, ASCE, AISC, UBC, and WRC guidelines and design limits to provide a comprehensive analysis of the entire system. AutoPIPE is available for Windows XP/Vista and can be licensed across networks. There are three versions of AutoPIPE: Standard, Plus, and Nuclear. The Plus version offers several advanced analysis capabilities not available in the Standard version which are detailed later in this chapter. The Nuclear version offers all of the features of the Plus version with the addition of all the features for ASME class 1 design. A KHK2 Add-On option is also available for the Plus or Nuclear version that allows use of the Japanese KHK Level 2 piping code in addition to all the features of the Plus or Nuclear version. AutoPIPE is a proven, well established program which has been commercially available since 1986. AutoPIPE’s rigorous quality assurance practices have withstood numerous on-site audits, making AutoPIPE one of the few PC based piping programs approved for use in nuclear safety applications.